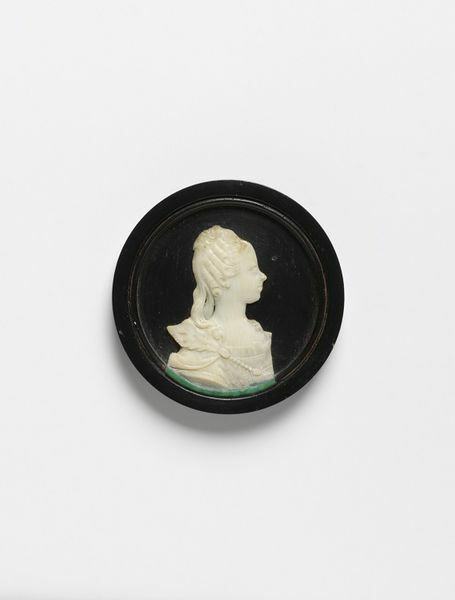 This ivory relief of an unknown woman is shown in profile, facing right; she has an elaborate hairstyle and a low-cut costume. The ivory is mounted on a turned wood medallion painted black, probably modern. The original purpose and setting of this piece is unknown, but it is likely to be French and to date from the mid-eighteenth century. 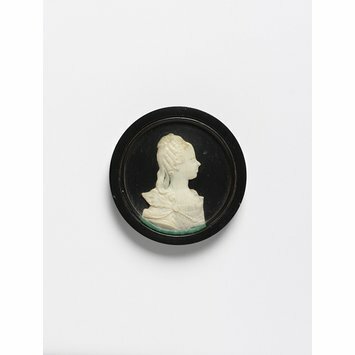 This relief shows an unknown lady in silhouette profile, facing right; she has an elaborate hairstyle and lowcut costume. Given by the architect Sydney Vacher Esq. (1854-1934), The George Hotel, Oxted, Surrey, in 1920, along with three other ivories.